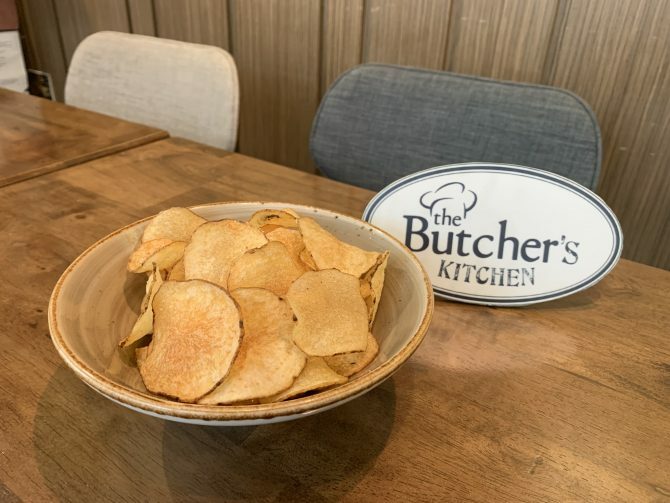 Indulge in The Butcher’s Kitchen’s latest offerings – including Singapore’s first-ever Whisky Char Siew and Whisky Chips! 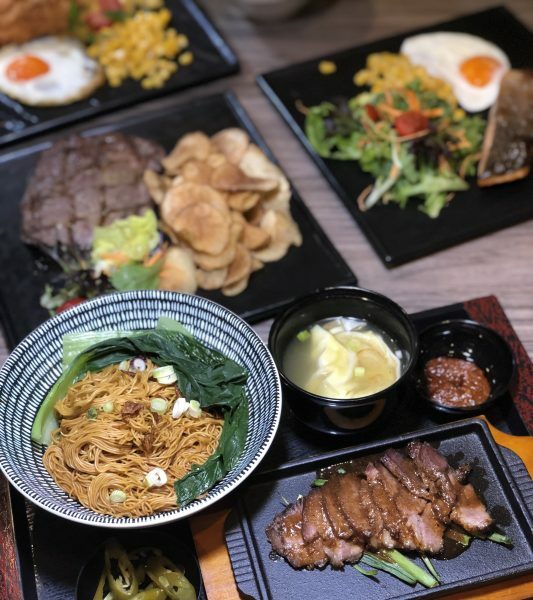 Our beloved hawker classic is given an atas upgrade with the Whisky Char Siew (S$12.80) – the meat is glazed with a homemade sauce; heady and redolent with the smokey, woody scent of whisky. 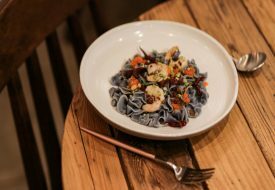 Paired with plump wonton, springy noodles and delightfully punchy homemade concoction of sambal belacan and pickled green chilli, this makes for a luxurious yet affordable meal. 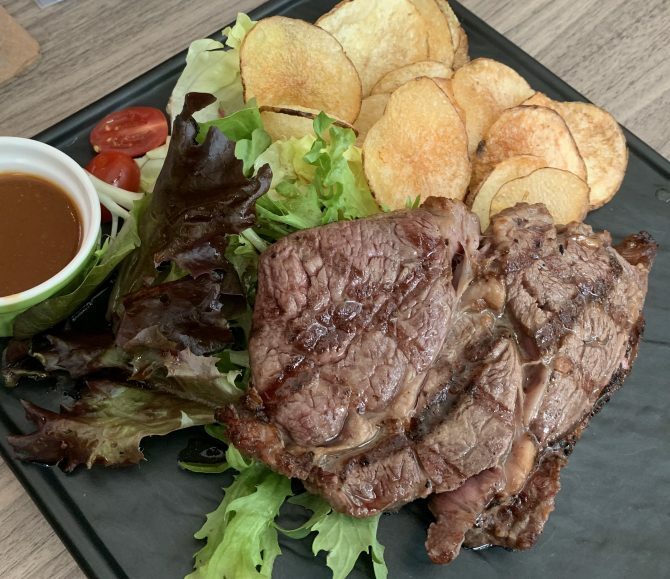 If you’re more of a steak person, we highly recommend the Whisky Steak (S$27.80). Made with premium-quality black angus ribeye steak that is aged for days, then infused with whisky, we loved how juicy and tender it was, and how the fragrance of the whisky paired well with the seared meat. Of course, don’t miss out on the Whisky Chips (S$5.80) too! Made fresh and cut by hand, the chips are lightly drizzled with whisky, giving it a smoky undertone that is highly addictive – we foresee ourselves chowing down on an entire bag while having a movie marathon! 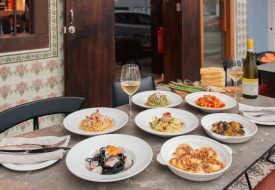 Besides the whisky series, The Butcher’s Kitchen will also be launching other dishes. 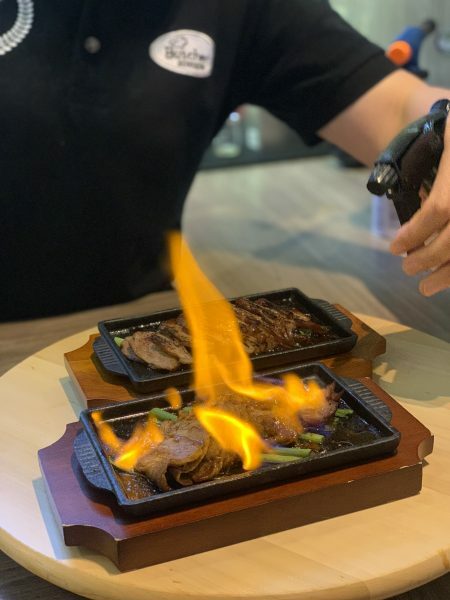 The Flaming Char Siew (S$10.80) is the first of its kind in Singapore, and inspired by the restaurant’s famed Flaming Hokkaido Beef Bowl. 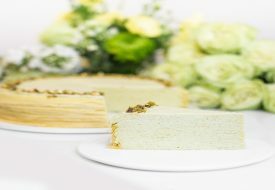 A combination of fragrant Chinese rose liquor and other secret ingredients is combined for its sauce, before the dish is torched prior to serving – so get your cameras ready! We loved the caramelised finish the char siew had, and its lightly sweet, floral aftertaste thanks to the rose liquor. If you aren’t partial to alcohol, or are bringing along children, don’t worry! There’s also the Aburi Char Siew (S$8.80), which is equally delicious – just alcohol-free. 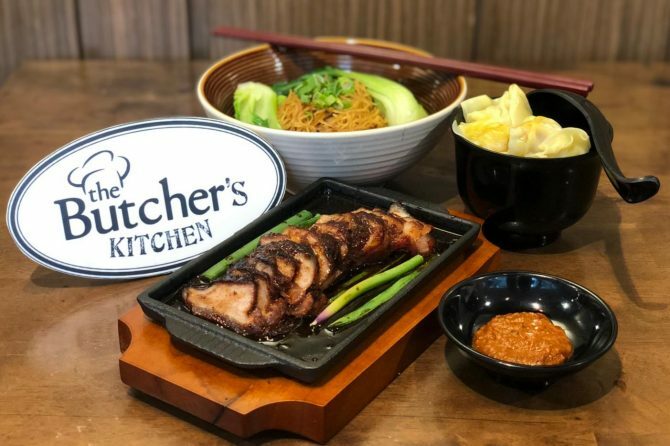 As a plus point, The Butcher’s Kitchen is currently running a promotion for their Flaming Char Siew: from now till 30th April, get 50% off your 2nd purchase of the Flaming Char Siew set! It’s valid from Mondays to Fridays, between 10AM to 3PM – perfect for a weekday lunch!